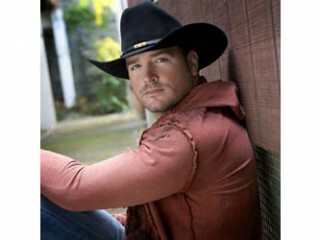 Jerrod Lee Niemann is an American country music artist. Active since 2001, he has recorded two independent albums. Country singer and songwriter Jerrod Niemann has penned songs for Garth Brooks, Neal McCoy and Jamey Johnson, among others, and has built a strong fan base as a performer of his own material as well. Born in Harper, KS (but raised in nearby Liberal, KS), Niemann fell early under the spell of country legends like Lefty Frizzell, George Strait, and Keith Whitley, and soon learned to accompany himself on guitar while entering various talent contests. By the age of ten he was writing and performing his own songs. After high school he attended South Plains College in Levelland, TX, where he also followed his music dreams by playing in the local clubs and bars. He self-released an album, Long Hard Road, in 1999. Niemann moved to Nashville a year later in September of 2000, signing a development deal with Mercury Records in 2001. The deal didnt produce much of note, although Niemann now had a band behind him and they began touring the club circuit. He self-released a second album, Jukebox of Hard Knocks, in 2004, then signed with Category 5 Records in 2006, releasing the single I Love Women (My Mama Cant Stand), but the label soon folded and a projected album, Behind This Microphone, never appeared. The single, though, opened some doors, and Niemann next signed to Arista Nashville in 2009. His first album on a national label, Judge Jerrod & the Hung Jury, appeared from Arista Nashville in 2010. View the full website biography of Jerrod Niemann.